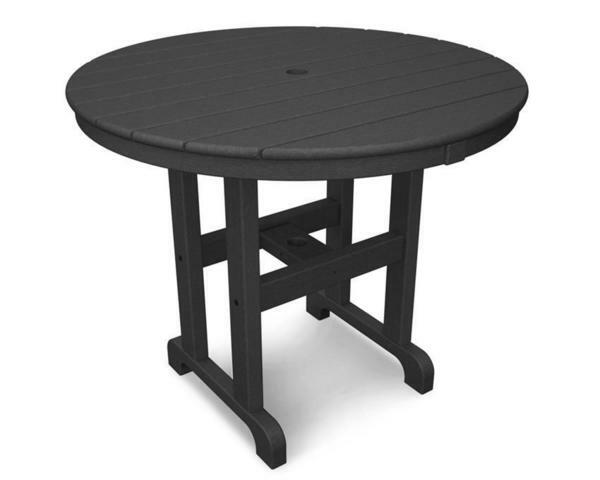 The POLYWOOD® 36” Round Dining Table provides the perfect place for outdoor family meals and games. Easily customize this polywood table to match the rest of your outdoor decor by selecting one of our many polywood colors we have to offer. Add in a few POLYWOOD dining chairs to create the ultimate outdoor dining set, and your family will love spending time outdoors! Each POLYWOOD table is constructed out of a highly durable, recycled plastic material called poly lumber, creating the perfect All-Weather outdoor dining set for today and future generations. It is even backed by a 20 year residential warranty! Choose from our six traditional colors and our newest color, Slate Grey. Not quite what you're looking for? Check out the rest of our Poly Dining Tables! Box Two Dimensions - 26" x 6" x 4"
Box Two Weight - 11 lbs.